There are only a few reasons that people rave about an exhibition. Sometimes it’s the artists’ technical abilities or unexpectedly creative curation. If you’re lucky, it’s the feeling of being moved. In the case of “Nine Moments for Now,” it’s all of the above. 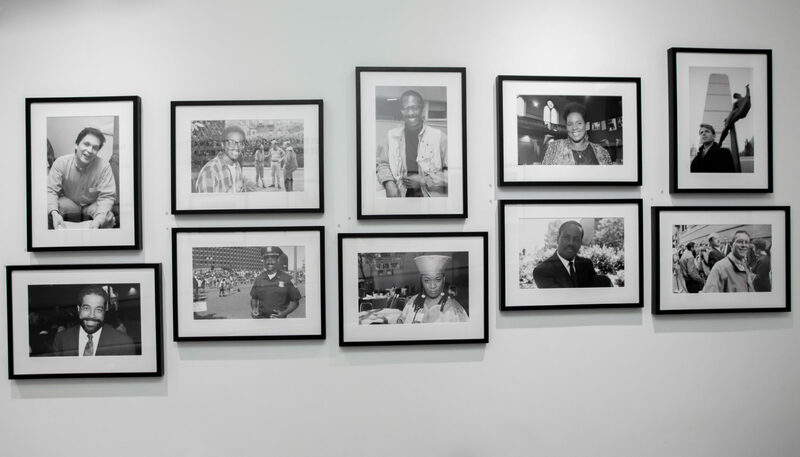 Located at The Ethelbert Cooper Gallery at the Hutchins Center for African and African American Research, the exhibition is part of the For Freedoms/50 State Initiative founded by Eric Gottesman and Hank Willis Thomas. 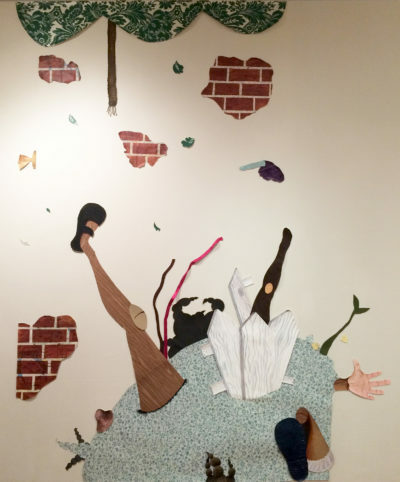 Against the backdrop of #BlackLivesMatter and #TimesUp, guest curator Dell Marie Hamilton exhibits artists, thinkers and writers seeking political transformation. The opening night hosted more than 250 people — a record breaker for the gallery. Featuring more than 100 works of art, “Nine Moments for Now” puts seemingly distant figures in conversation. Works by legends such as Carrie Mae Weems and Nelson Mandela intermingle with those of emerging and local artists, activists and documentarians. Hamilton says the title of the exhibition references the nine months of pregnancy as a metaphor for how the present emerges incrementally from the past. “For me it’s the moment to moment,” explains Hamilton. “We are so focused on people like MLK and Malcolm X as these kind of iconic Americans, but the fact [is] that they were human beings. It’s those in between moments of becoming who they are, what they are and what they represent. So to me, it’s those tiny moments that then begin to build into another realm.” A contact sheet showing Martin Luther King Jr. smiling and shaking hands at Harvard’s Memorial Church touchingly captures exactly this thought. Object by object, Hamilton’s curation builds relationships between icons, eras and ideas. 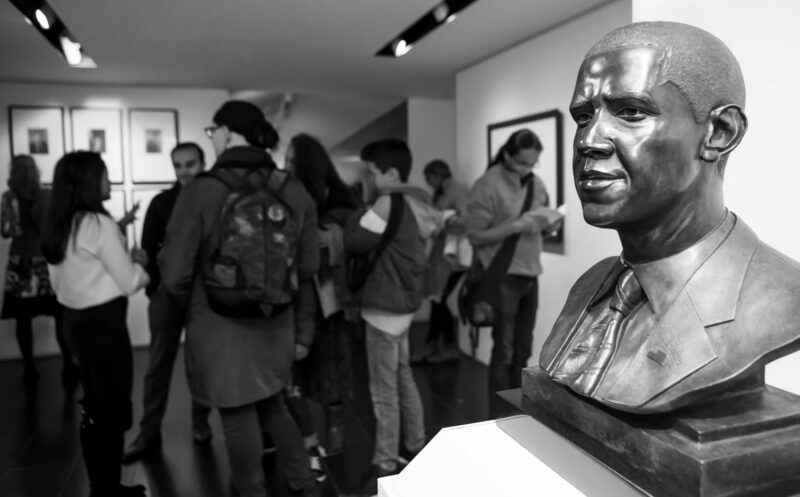 A grouping of photos depicting, in her words, “the cool kids of the Harlem Renaissance” are placed in a gallery preceding Matthew Gonzales’ “Bust of Obama.” A definite climax of the exhibition, the heavy bronze sculpture rendered in impressive detail exudes the former president’s aura. Hamilton explains that this choice is rooted in her understanding of Obama not only as a president, but also an intellectual continuing the legacy of the Harlem Renaissance’s giants. 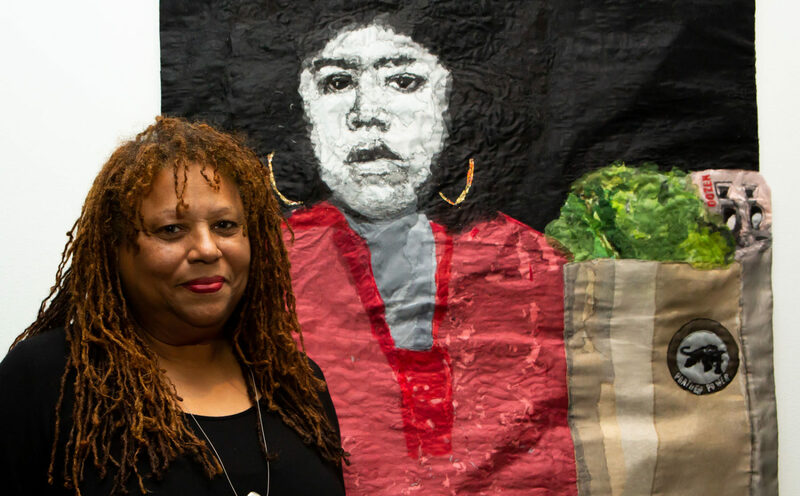 A longtime archivist at the Hutchins Center, Hamilton researches like a genealogist, yielding unexpected connections among black cultural movements. Take for example a cluster of photographs showing Puerto Rican doctor and activist Ana Livia Cordero — who helped bring medicines to rural Puerto Rico — and separately, a youthful, serious W.E.B. DuBois. As it turns out, Hamilton says, Cordero was DuBois’ physician until the day of his death, which was coincidentally the eve of Martin Luther King’s March on Washington. Some of the content in the exhibition revolves explicitly around racism. 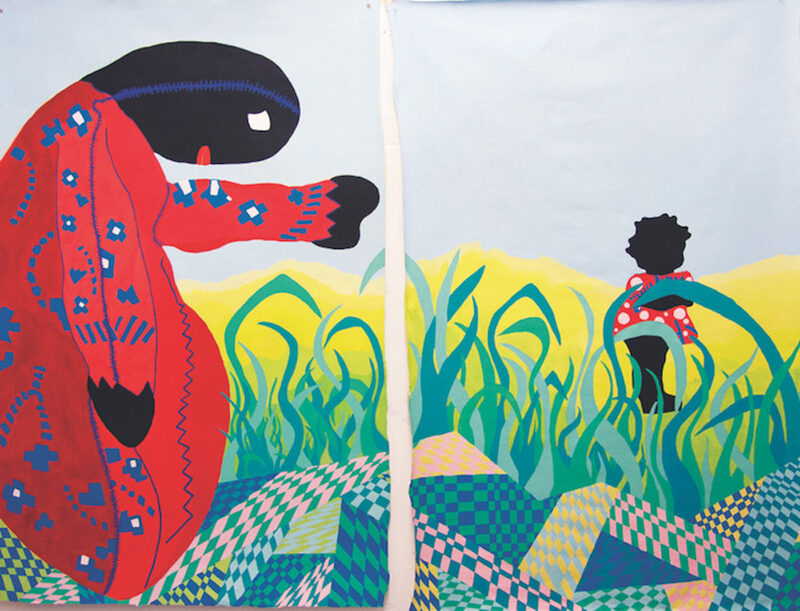 Artist Karmimadeebora McMillan’s paintings show anti-black imagery — such as lawn jockeys or mammy figurines — reclaimed as a emblems of black survival. While some artists like McMillan digest history, others — like the ones in the exhibition’s final gallery, entitled “The Future is Present” — ask what the path forward might look like. Joy Buolamwini questions whether technology, like artificial intelligence (AI) will be able to fulfill its promise to transform the future if its algorithms are unable to identify the gender of iconic black women, from Sojourner Truth to Michelle Obama. The three minute video entitled, “AI, Ain’t I a Woman?” stars the artist herself. “AI systems reflect what I call the coded gaze,” Buolamwini says. “The coded gaze, like the white gaze and the male gaze, reflects the priorities, preferences and prejudices of those who have the power to shape technology.” Buolamwini hopes that viewers of “AI, Ain’t I a Woman” will see cutting edge technology through a new critical lens and hold seeming innovators accountable to their biases. “Nine Moments for Now” is free and open to the public. It runs until Jan. 21, 2019.